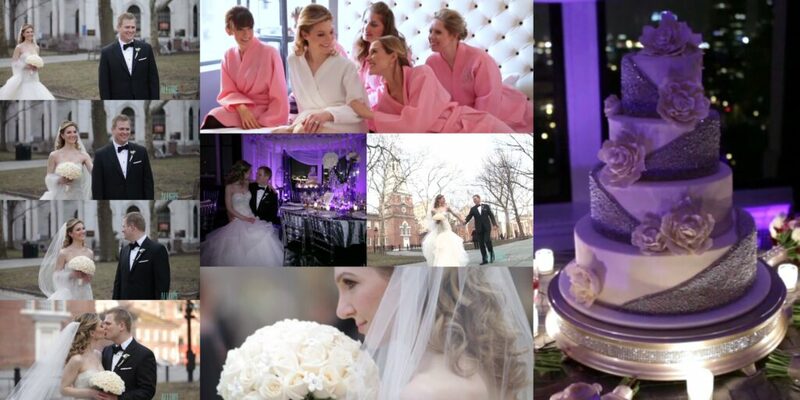 Allure Films was thrilled when the happy couple invited us to document their special day. With stunning views of Independence Mall, the Ben Franklin Bridge, and the Delaware River, we couldn’t wait to get to the Down Town Club and start filming! The décor in the ballroom was flawless. We loved capturing Jennifer’s astonished look when she walked into the room for the first time and saw her dream wedding brought to life. The day was made even better when we learned that our good friends at Philip Gabriel Photography would be there photographing the gorgeous wedding! They did an amazing job capturing each moment as it unfolded, right alongside our team. Jennifer and Michael’s big day was filled with smiles, love, and memories that will last a lifetime, thanks to the experts at Allure Films! Wow. The bride and groom couldn’t have picked a better venue to celebrate their big day! 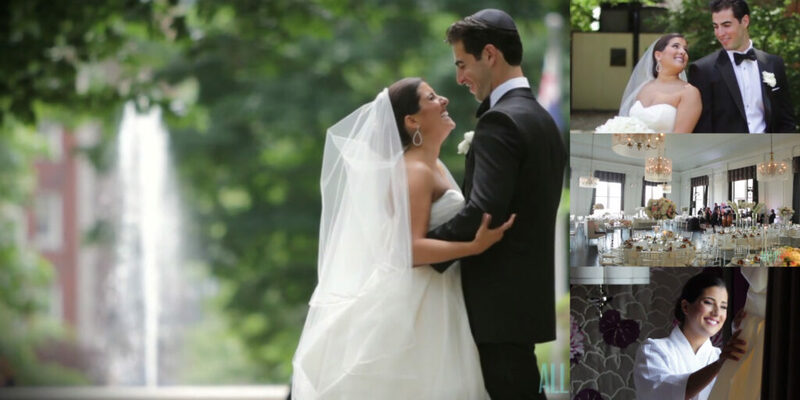 Sarah and Shmuel celebrated a dazzling day at the Down Town Club in Philadelphia. Among family and friends, our bride and groom shared memorable moments and traditions as they exchanged vows. 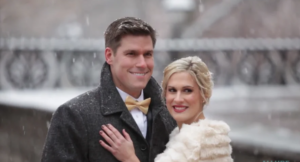 It quickly became obvious how much both families cherish this adoring couple. Their kind and touching words about Sarah and Shmuel will certainly be something to remember, and the Allure Films team was pleased to capture it all on film! After their touching traditional Jewish ceremony, the newlyweds wandered down to the reception hall, where they were stunned by the beauty of the space! The Down Town Club is both modern and luxurious, a perfect fit for Sarah & Shmuel’s wedding celebration. It offers panoramic views of the city for all to enjoy. The guests had a blast celebrating with the happy couple. We’ve never seen so many people out on the dance floor! The decorations were stunning, the food was quickly devoured, and the band kept the party going all night long. Great choice Sarah and Shmuel! And a big thank you for allowing us to be a part of your big day! A couple’s wedding day is a perfect reflection of their personalities, both as individuals and as a couple. Allure Films was fortunate enough to join a lovely couple, Heather & Seth, on one of their most important days: the day they both said “I do”. The Down Town Club is just one block from Philadelphia’s historic district, which features famous landmarks such as Independence Hall, The Liberty Bell, and The National Constitution Center. It offers many prime formal photo settings, such as Washington Square Park and The First & Second Banks of the United States. We were able to capture several historic settings on Heather and Seth’s big day. The building itself is a perfect duet between modern and colonial styling. The classic architecture includes elegant amenities that suited the bride and groom perfectly. The marble floors and hand-carved moldings really give The Down Town Club its own unique style. Another big bonus for Heather and Seth was that they were able to share their ceremony and reception with family and friends in one spot. The Down Town Club does an incredible job transforming from a classic formal ceremony site to a modern and exciting reception area, all while maintaining its elegance! This means that Heather and Seth didn’t have to gather their wedding party and guests to head to another location (which can also add a whole new level of stress for some). We are so glad this venue turned out to be the perfect fit for Heather and Seth. Congratulations again, and thank you for allowing us to document your special day! Planning your own wedding at The Down Town Club? Contact Allure Films today and make sure all those special moments are preserved forever on video!